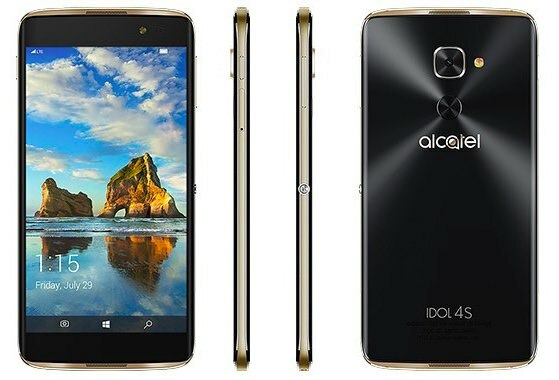 Launched, yet not launched at the same time today, was the Alcatel Idol 4S with Windows 10 VR, effectively the Android-powered Idol 4S (which I think very highly of in terms of hardware), yet with Windows 10 Mobile out of the factory. And, it seems from the name, shipped with Alcatel's usual VR visor. T-Mobile USA are the ones that had been rumoured to launch this first and it comes up in a search of the T-Mobile web site (with 'Coming soon') yet when you click to find out more there's... nothing. Thus, clearly, the launch isn't 100% formal yet. We'd hoped that there would be a mention at today's Microsoft Windows/PC event in New York, but it seems that the phone isn't quite ready yet. Good to see, I loved the Idol 4 on Android and the 4S is larger and better all round - add in W10M and throw in a free VR visor and what's not to love? The six million dollar question, of course, is whether this will see a wider release across the world. Although, in these days of virtual toolbars and software-only controls, it's relatively easy to swap out operating systems, one would have to imagine that there are other optimisations and tweaks for Windows 10 Mobile, not least all the VR software and demos that are needed - surely all this wasn't done just for one network in one country?